How very different our lives would be without paper. There would be limited recording of histories, sentiments or creative processes if we still recorded ideas on parchment also known as ‘animal skin’. The sharing of ideas would be more difficult. Would there be computers or other modern conveniences we enjoy today if not for the ability to draft and revise plans on paper for building and inventing? Over the past few years, I’ve come to enjoy buying paper in upbeat colours, memo pads with patterned borders, and ornate sticky notes. In my pantry, you’ll usually find a few packages of paper dinner napkins. I’m surrounded by books, books, and more books. In the office, there are receipts, file folders, documents and a recycle box of newspapers and envelopes. Downstairs, I have a shelf where gift bags, boxes, and wrapping paper are stored. Let’s not forget the watercolour paper, sketch pads, printer paper and notebook paper too. Where does it all come from? 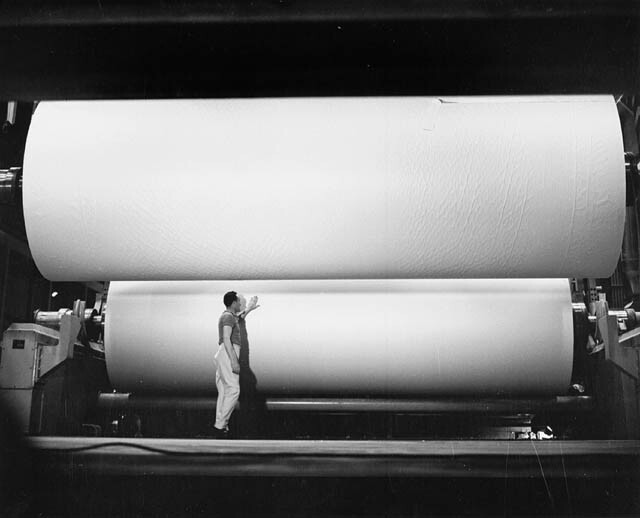 The manufacture of paper requires fibres. Early in the history of paper making, the remains of coarse spun silk or bamboo, hemp, papyrus, rice paper plants provided fibre for making paper. These materials have cellulose fibres that are porous and become flexible when saturated with water. When these fibres are suspended in water, they become tangled. Then, when water is drained away and the fibres are pressed, they mat together to form paper. The Arab practise of using recycled rags as a fibre element in paper making was adopted across Europe. In Canada, however, cotton and linen rags were scarce so paper makers turned to conifer tree pulp for the cellulose fibres. Conifer trees like spruce, poplar and pine trees were abundant in many areas of the country. In the early 1800’s, the focus of the lumber industry, in the Ottawa Valley, was square-cut timber. Trees were felled and their sides hewed away until they were sculpted into a perfectly square shape. These hewn timbers could be efficiently stacked in the hull of ships for export to Europe or lashed together tightly for floating down river to a sawmill. Any logs that were below grade (i.e. cracked, too short, small in diameter) were abandoned on the forest floor. Although valuable to pulp and paper, in the – timber trade, black spruce was a mere nuisance of no value. As the sawmill activities slowed, lumbermen recognized the potential to recoup the expense of costly timber limits (licenses to cut timber in defined areas) through the new rising industry of pulp and paper. Not only had they found a market for the logs they would otherwise have cast aside as undesirable, but they could also harvest and sell the spruce, balsam, poplar and jack pine they’d previously left behind in the bush. Not only were these trees were smaller and easier to handle, there was no need to worry about damage to the lumber during transport. 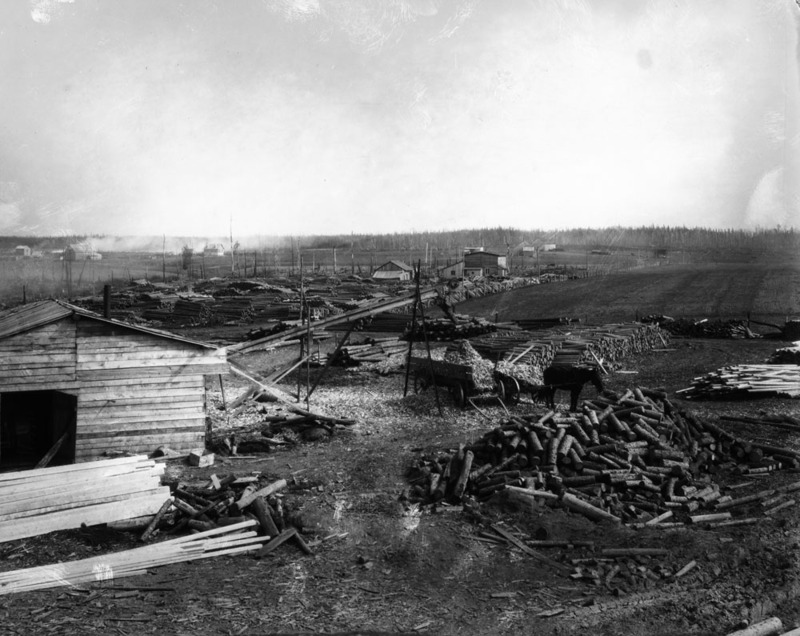 Even some new settlers were able to capitalize thusly on the timber cleared from their fields. 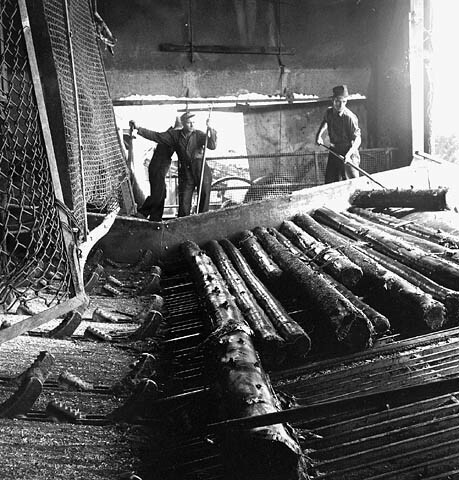 In several provinces, changes to the laws about the export of unprocessed pulpwood encouraged the growth of Canadian pulp and paper mills. As an added bonus, in 1913, the Americans dropped their heavy tariffs on the import of Canadian newsprint and pulp. The demand for paper, especially newsprint, increased steadily in the 1800’s along with the rise of literacy. 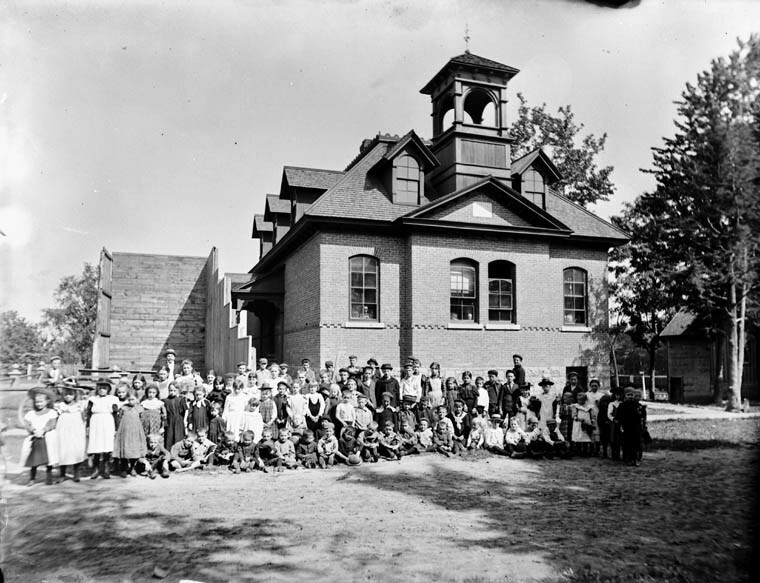 At that time, education was free and compulsory. Retail sectors were growing rapidly and their demand for advertising fueled a mass distribution of print media and journalism. Canadians were hungry for news at home and abroad. What I learned through this research will lend to the content of a novel I’m currently working on. In this interest, I continue to watch with great interest, the number of pulp and paper mills closing in Canada due largely to the shrinking demand for newsprint. I’m also gathering research for a historical novel to be written in the future. It will be loosely based on what I know about my Irish ancestors who arrived in Bytown, Ontario in 1830. Do you have a story to share? Have you ever worked at a paper mill? Extremely interesting post, as usual, Gwen! It seems that Synchronicity is indeed alive and well in the universe sometimes – it’s on my list to visit the HQ Papermaking Studio in Chiang Mai in a couple of weeks and I’d been wondering why an art-papermaking outfit would be located there. Your post made it all clear…..it’s a byproduct of the silk, bamboo, hemp and rice-growing industry there. 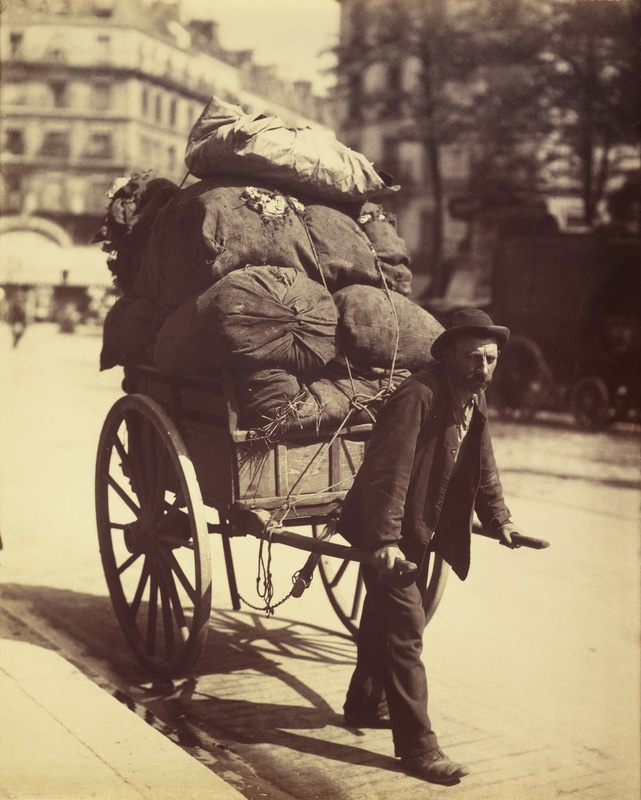 I enjoyed the information about the Paris ragpickers, having heard the term before but not understanding what exactly they were (kind of like original recyclers:0)). 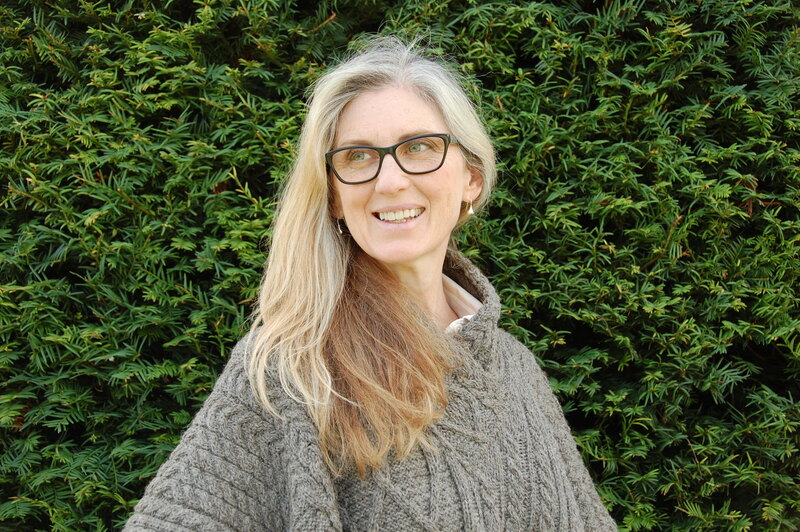 Brilliant photos, and I look forward to buying your books! Happy New Year to you:0)). Hello Beth. I’m humbled by your kind comments. Thank you very much. Synchronicity is in deed at work. How exciting that you are traveling to such an exotic place and to visit a papermaking studio. I found a web article about the studio you are going to visit. You are in for a treat. I hope to hear back from you after your travels. The photos are wonderful as always Gwen and a fascinating history. Thank you Andrea. I saw so many interesting things that I didn’t include. One book I referenced showed cross section sketches of a paper mill style commonly found in Spain. The mills were two stories tall and located next to rivers so the running water could power a mill wheel. The mill wheel operated huge wooden mallets located on the inside of the mill. The mallets pounded down the rags to reduce them to fibers suitable for making the paper. The paper making process happened on the ground floor of the mill and the workers were housed upstairs on the second floor. Finding the photos is a very enjoyable task. They tell their own story.